Following the successful build of "Kidmore Boxed", I've developed a bit of a bug for creating layouts in a Really Useful Box wrapping paper box. This provides sufficient space for a 28 x 8.5" layout & of course dust free storage. Great examples of these my be found on the Micro Layouts pages at RmWeb. Simple Tuning Fork track plan following that on "Puddle Dock". Track laid on cork bed & point motor fitted. 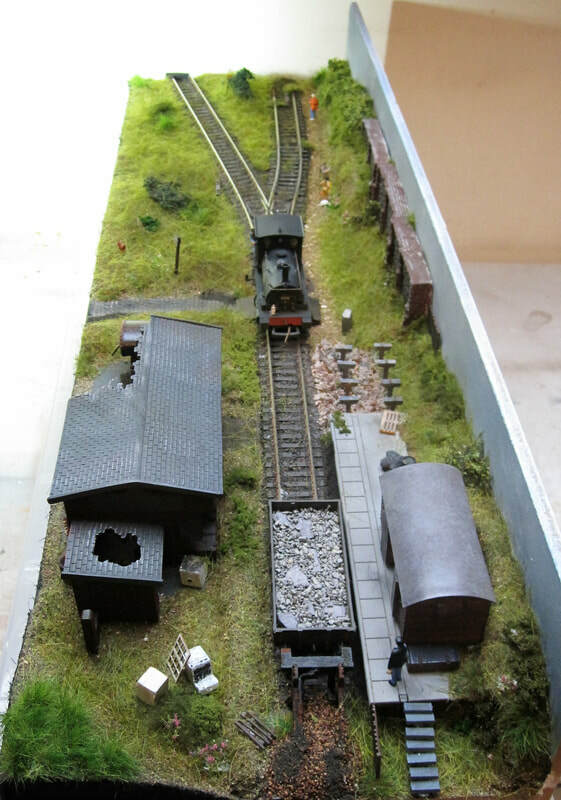 Progress showing track ballasted & weathered. Retaining walls in place & raised areas from packing offcuts. Half of platform installed, other half will be part demolished. 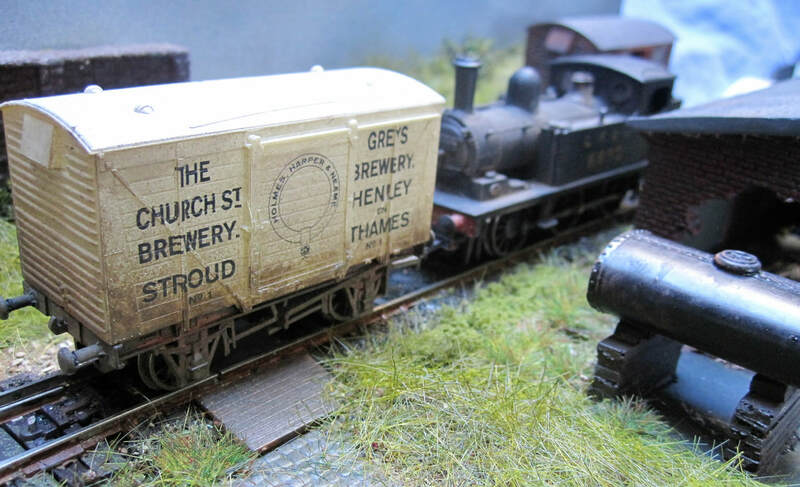 A heavy dusting of Noch long grass using a Gaugemaster puffer. Demolished platform leaving just the support piers. Nothing like advertising one's favourite tipple ! Full layout, all 28 inches. Layout sat on it's storage & display box.